Perth Festival has announced the appointment of Iain Grandage as artistic director of Perth Festival 2020-2023, succeeding current director Wendy Martin whose final program will be the 2019 Festival. It’s exciting news on many counts. Not only is Grandage an acclaimed collaborative artist and programmer, but he’s from WA. 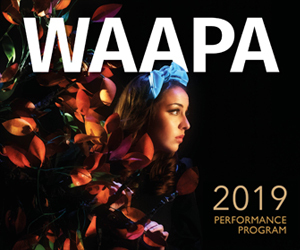 A composer, Grandage’s Helpmann Award-winning back catalogue includes the scores for theatre productions Cloudstreet and The Secret River, dance production When Time Stops and opera The Rabbits (with Kate Miller-Heidke). He has also won Helpmann Awards for his work as musical director of Meow Meow’s Little Match Girl and The Secret River. As a programmer, Grandage has curated the chamber music program for Adelaide Festival and been artistic director of the Port Fairy Spring Music Festival since 2016. After a decade in Melbourne, Grandage recently returned to WA and is thrilled to lead an international arts festival in his home state. “Perth Festival inspired my journey into the performing arts when I first experienced it in the early 1990s,” he says. “I hope to similarly energise local artists and audiences by extending the Festival’s foundation mission as a Festival for all people. Seesaw will be catching up with Iain Grandage very soon… so stay tuned! Pictured top: Iain Grandage. Photo: Pia Johnson.